Hello, again! There’s a certain argument running around all of the time, and I’m tired of always hearing about it. I don’t believe this argument to be true at all. Disney started all the way in the 1920s (the freaking 1920s, do you know what that time period was like?) and their first movie was in 1937. So, with that said Disney has been around for a long time. I think when people complain about these issues, they’d have a better chance with the other studios like Pixar or DreamWorks. Yet, no one complains about them, but only Disney. I don’t think that’s fair, and I shall explain why. 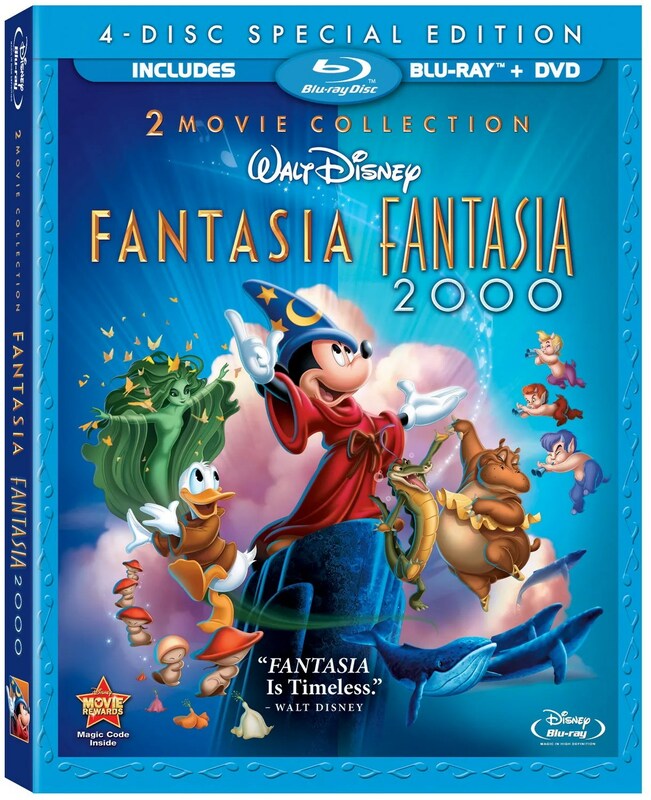 I decided to exclude Fantasia/2000 and the Package Films, because those films aren’t as well known, and they don’t really have major characters. Only women; There’s a lot of men, so it would be hard to list them. Maybe, one day I’ll do it, but right now I’m going to focus more on the women, especially since when people complain about this issue regarding women. I think that covers the main things. Disney has 55, soon to be 56 later this year, movies in the “Classic Animated Films.” They are Snow White, Pinocchio, Fantasia, Dumbo, Bambi, Saludos Amigos, The Three Caballeros, Make Mine Music, Fun and Fancy Free, Melody Time, Adventures of Ichabod and Mr. Toad, Cinderella, Alice in Wonderland, Peter Pan, Lady and the Tramp, Sleeping Beauty, One Hundred and One Dalmatians, Sword in the Stone, Jungle Book, Aristocats, Robin Hood, Many Adventures of Winnie the Pooh, Rescuers, Fox and the Hound, Black Cauldron, Great Mouse Detective, Oliver and Company, Little Mermaid, Rescuers Down Under, Beauty and the Beast, Aladdin, Lion King, Pocahontas, Hunchback of Notre Dame, Hercules, Mulan, Tarzan, Fantasia 2000, Dinosaur, Emperor’s New Groove, Atlantis, Lilo & Stitch, Treasure Planet, Brother Bear, Home on the Range, Chicken Little, Meet the Robinsons, Bolt, Princess and the Frog, Tangled, Winnie the Pooh, Wreck it Ralph, Frozen, Big Hero 6, Zootopia, and soon to be Moana. After, listing the movies, once you exclude Fantasia/2000 and the Package Films, you’re left with 47 movies, and if you include Moana 48 films. Animal films make up with 20 movies. I excluded Tarzan from that list because of Jane. That leaves us with 28 films. The movies that are children basically make up are 7 of the films. That leaves us with 21 films so far. Then you exclude Treasure Planet, because the only female I can remember is Captain Amelia, and she was an anthromorphic cat. So, the final total of movies we are left with is 27. 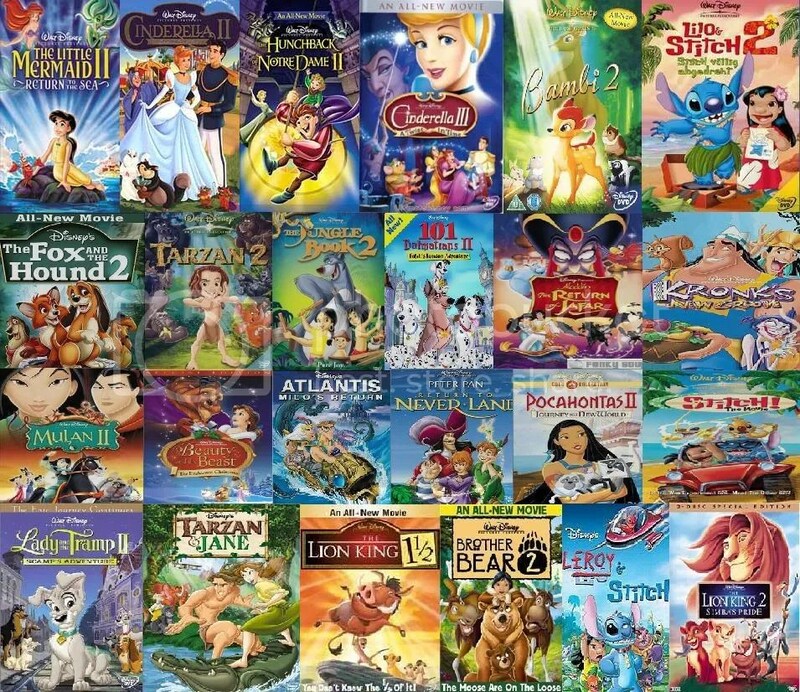 These are the movies left: Snow White, Cinderella, Sleeping Beauty, 101 Dalmatians, Little Mermaid, Beauty and the Beast, Aladdin, Pocahontas, Hunchback of Notre Dame, Hercules, Mulan, Tarzan, Emperor’s New Groove, Atlantis, Lilo and Stitch, Princess and the Frog, Tangled, Frozen, and Big Hero 6. 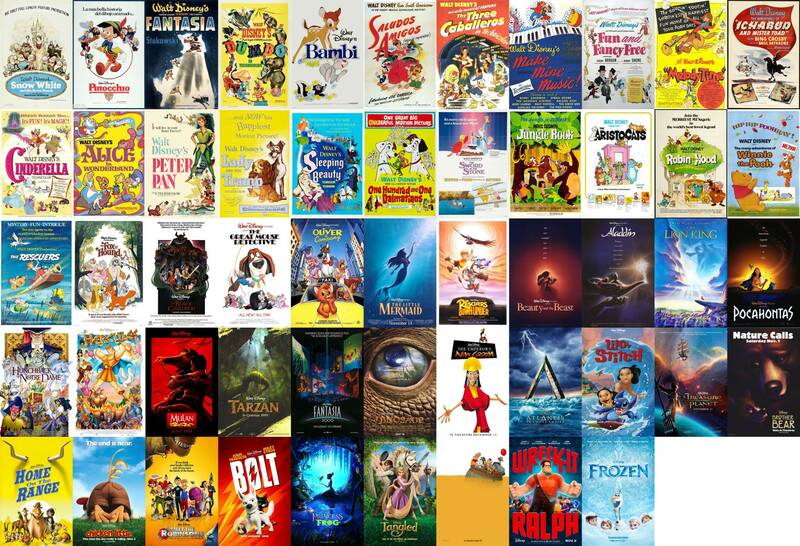 And, if you want to include Moana, it would be 28 films left. 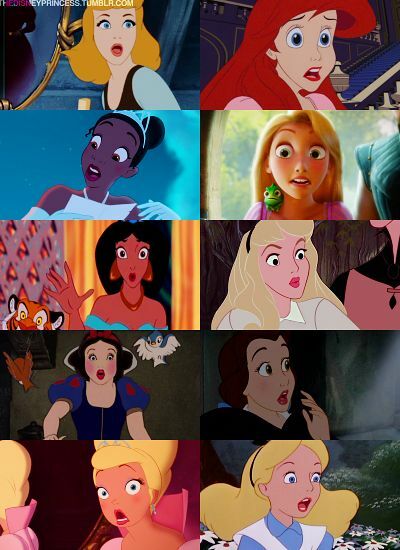 Also, I want to clarify that all of the princess are different nationalities. So, just because one of them is white, it doesn’t mean that they’re just white. For example, an Italian person isn’t going to be the same as a Russian person. That’s like saying a Chinese person is the same as a Japanese person or someone from Venezuela is the same as someone from Cuba. It’s not, either culture has many differences. So, grouping a culture together, because they share the same skin color isn’t exactly the smartest thing to do. But, just to make this easier, I’ll put the ones that are from Europe in the white category and the ones that are from the other continents in the POC category. Also, since most character’s nationalities aren’t confirmed besides a few, these are just my estimations. And, also honestly I don’t understand what the difference between British and English is, so some might be English, but I shall refer to the one’s from the UK (since none of the characters are from Ireland, Scotland, or Wales) as British. Ariel: Danish Calliope (Muses): Greek/ (I’m not sure what ethnicity the Muses are besides Greek, but I think they are mixed with African. Most of the live-action models for the muses were also African-American. Belle: French Clio (Muses): Greek/African? Megara (Meg): Greek Thalia (Muses): Greek/African? Jane: British Terpsichore (Muses): Greek/African? Charlotte: American (White) Melpomene (Muses): Greek/African? So, I wish people would stop using that argument that Disney isn’t diverse enough; because, as I have clearly shown in the chart, Disney is pretty diverse. Then people try to say that Disney doesn’t have strong female leads, but all of these characters are strong in their own way. Someone doesn’t have to be like Mulan, and be a warrior to be strong. If, you look at Snow White, for example it is she who actually saves herself. People liked her, not because of her beauty on the outside, but her beauty on the inside. She’s extremely kind and caring, and that is why the forest animals and dwarfs helped her. The same for the other characters. All of these characters are great in their own way and should be appreciated. Let Disney do what it does best and make great movies! Yep, I once did a similiar math in an article…even if you include the children characters, the result is similiar, because you not only get characters like Wendy and Alice, but also Mowgli and Lilo…. 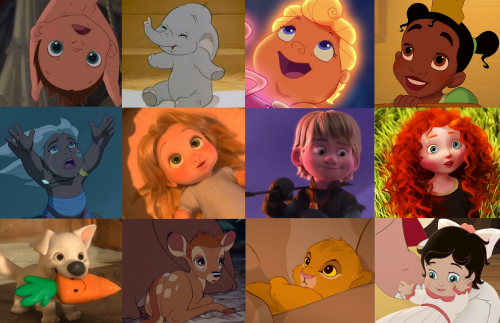 It was a few years ago, but back then I figured out that excluding movies with animals as leads, one third of the Disney movies have a PoC lead…the number shouldn’t have changed much since then. I know lol I didn’t include the children because when people try to use this argument they always talk with the heroines. They hardly ever use it to even talk about the men. So, I just wanted to focus on the females since it would be easier. 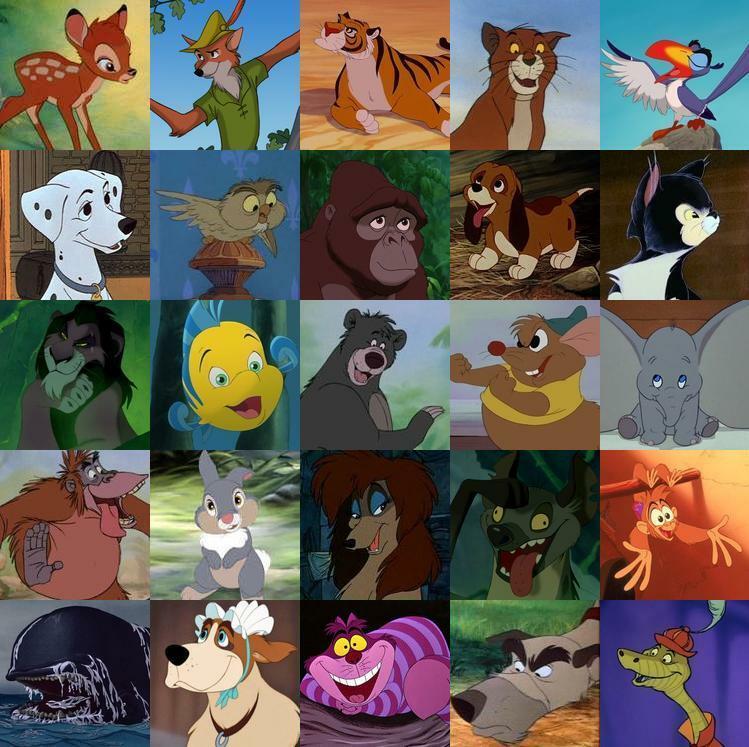 At least half of the films are an all animal cast or majority the cast are animals. And, Disney usually has diversity. The first female was in Fantasia and the first male was Saludos Amigos. But, it was really during the 90s and up that almost every movie has had at least 1 if not more POC character in it. 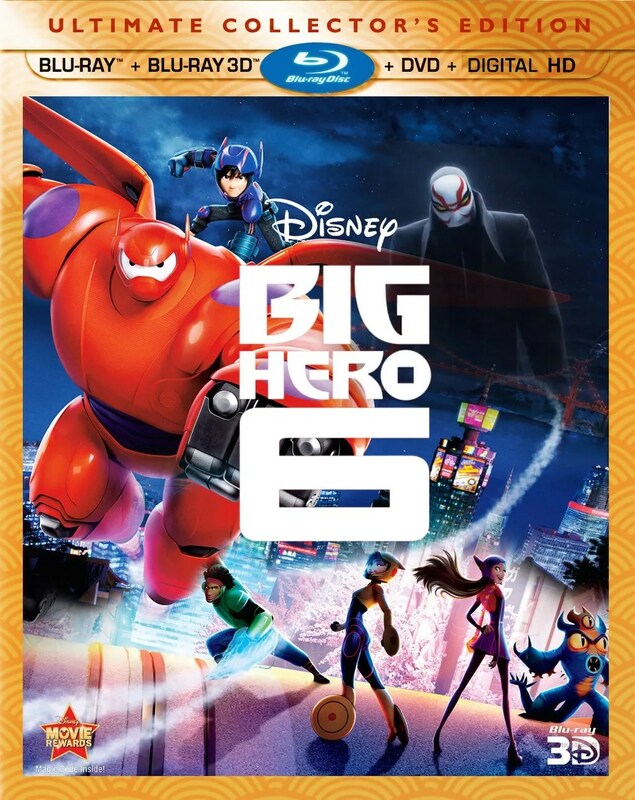 Well, for the recent films Tangled didn’t (Winnie the Pooh doesn’t count), Wreck-it-Ralph had Felix, Frozen didn’t, the entire cast of Big Hero 6 was, Zootopia was about animals, and I’m pretty sure the entire cast for Moana will be. So, that’s why I don’t understand why people say Disney never has any diversity? No one complains about Pixar or DreamWorks. Yet, they don’t really have any. Pixar only has 3 characters I believe- the kid from Up, Frozone from The Incredibles, and one of the kids they scare in Monsters Inc. (which that kid isn’t even apart of the film). I agree. The only Laika movie I’ve seen is Coraline, but I don’t remember anything about it lol. It’s sort of embarrassing, but I’ve never actually seen a studio Ghibli film. I’ve heard so many great reviews about them, and the movies look really good, but I’ve never seen them lol. I really want to watch I think its called Princess Mononoke, and I’m not sure if they made it (I think so), but I want to watch The Dog of Flanders. Well, there are only four so far, Corpse Bride, Coraline (female lead), Paranorman (kind of famous for featuring the first officially gay character in an animated family movie) and Box Trolls. I really look forward to Kubo and the two strings, the movie they will release this year (trailers look beautiful!..also, Asian lead). Yeah, Princess Mononoko is by Ghibli. The Fog of Flanders????? Oh wait I though Tim Burton made Corpse Bride? lol But I’ve seen Corpse Bride lol I’ve never seen Paranorman (I do hear a lot that he is gay though which is cool lol) nor have I seen Box Trolls. I’ve never heard of Kubo so I just looked up the trailer for it, and oh my goodness it looks beautiful. I really want to watch it now. I wonder how come they’re not so famous. They seem to make really good movies lol. Oh whoops lol I meant The Dog of Flanders I think it is called. I believe it came out sometime in the 90s. I used to own the pokemon episodes on the VHS and that movie was previewed. It looked really interesting. He did, but he did it for Laika studios. They are fairly new, but people who are animation fans are aware of their work. And, yeah, along with Moana this is the animated movie I can’t wait to watch this year. Never heart of this movie. Oh, I see. I’ve heard of their work, but I never heard of them. I just know that Disney helped distribute some of their films like ParaNorman. But, I did quite enjoy Corpse Bride and Coraline. 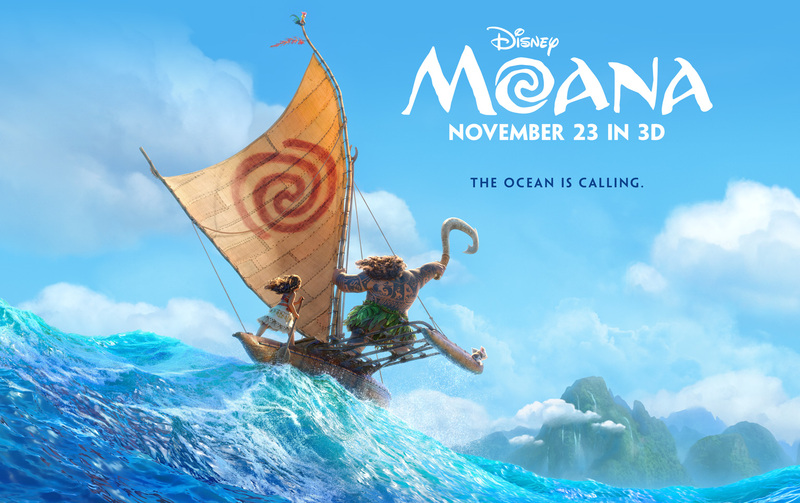 I can’t wait for Moana. I’ve been waiting for a few years lol. Ah, now I know what you are talking about…in, I know about the TV series, I didn’t know that there was a movie…but then, I never really watched the TV series either, I only remember because the German version of it had a very catchy theme song. I didn’t even know there was a tv series till I looked it up lol. That song lol It seems happy like. Like, the cartoon seems to be happy, while the movie seems like its tragic. lol what a difference. Honestly, the text is kind of ironic…I doubt that whoever wrote it knew much about the story. I’ve never read the book or seen the movie, but I’m going to guess the movie is closer to the book. That TV show doesn’t seem like it fits.